If you were to ask the average graduating student about their sentiments on graduating from college, you would most likely get a mixed reaction of excitement and terror. At last Wednesday’s Grad Fair, most students were feeling exactly that. A mass of fourth-years crowded into the space in front of the bookstore to prepare for May’s ceremony. All sorts of activities were offered; students picked up their cap and gowns, ordered class rings, took professional graduation portraits, picked up commencement guest tickets, browsed graduate school options, discussed the next step with the Career Center and even participated in raffles and drawings for prizes. It is “an exciting but daunting thought, the idea of moving on,” Olivia Conrad, a fourth-year food science student, said about the notion of graduating. She will reflect on her experience at the University of Maine incredibly positively, so much so that she intends to attend graduate school at UMaine after commencement. She was eagerly waiting in line to pick up her cap and gown. “I’m ready to not be in school anymore,” Robyn Estes, a fourth-year wildlife ecology student, said while waiting in line for a gown. She hopes to fulfill her desire to travel the world once she has left school, but noted that she thoroughly enjoyed her years here. 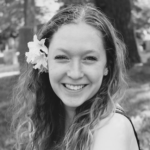 Ali Gannon, a fourth-year communication sciences and disorders student, plans on walking in the graduation ceremony this May, but will take an extra semester to tie up loose ends and mentioned her mixed emotions. Between feeling nervous and excited about leaving UMaine, Gannon will reflect on her time here as “ a mix of the most positive and stressful experiences of my life.” She hopes to move on to teaching at local schools and possibly returning for graduate school in the near future. 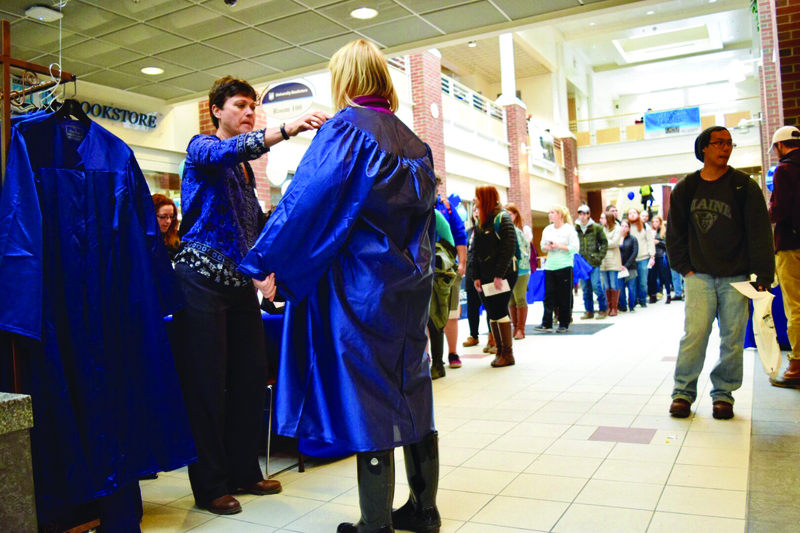 The majority of students interviewed revealed that they are fourth-years who plan on walking at UMaine’s graduation ceremony in May, but will take an extra semester to fully complete their degrees. The majority of UMaine students do not graduate in 4 years, with the most recent data provided by UMaine suggesting that only 36 percent of students graduate “on time” in 4 years. Regardless, most students have fond memories of their years (however many) at UMaine and will leave here with mixed emotions about moving onto the next stage of their lives. Many remarked that they will miss being in college, but not the stress and workload that comes with it.